I had only two things in my life, one was the person to whom this blog is attributed to and another was my God other than this I knew nothing. I used to deeply think about this person always or about my God and nothing else. This was my small world leading a simple life and this person did understood me very well on this when she said, "Ye ladka bhi na kisi se baath hi nahi kartha, har samay Ishvar ke baare me hi sochtha rahtha hai". The thing which I was thinking deeply about my God was his divine rays which emanated from him which is so well expressed by Julian in his hymn to the King Helios. "For I am a follower of King Helios. And of this fact I possess within me, known to myself alone, proofs more certain than I can give. But this at least I am permitted to say without sacrilege, that from my childhood an extraordinary longing for the rays of the god penetrated deep into my soul; and from my earliest years my mind was so completely swayed by the light that illumines the heavens that not only did I desire to gaze intently at the sun, but whenever I walked abroad at night, when the sky was clear and cloudless, I abandoned all else without exception and gave myself up to the beauties of the heavens; nor did I understand what anyone might say to me, nor heed what I was doing myself." Most people don't know that there is an ancient religion which pre-dates Christianity, Islam, Hinduism, Buddhism etc. Neither anyone teaches us about these things in schools nor it is being discussed much around the world because these religions were called as mystery religions and were followed by only a few elites here and there who were initiated into the mysteries. Unfortunately with the increasing intellectualization of the human mind they tried to understand these religions using reason and logic rather than understanding it in their own milieu which was to be understood on the basis of Theurgical sciences or the science of performing rituals. When academicians did not understood the doctrines of these religions they started ridiculing it and showed contempt towards it with out recognizing that it was their understanding of the texts which was rubbish and not the doctrines of our ancients which has been very well explained by Aurobindo in his commentary on the Isha Upanishad. "It is now several thousands of years since men ceased to study Veda and Upanishad for the sake of Veda or Upanishad. Ever since the human mind in India, more and more intellectualised, always increasingly addicted to the secondary process of knowledge by logic and intellectual ratiocination, increasingly drawn away from the true and primary processes of knowledge by experience and direct perception, began to dislocate and dismember the manysided harmony of ancient Vedic truth and parcel it out into schools of thought and systems of metaphysics, its preoccupation has been rather with the later opinions of Sutras and Bhashyas than with the early truth of Scripture. Veda and Vedanta ceased to be guides to knowledge and became merely mines and quarries from which convenient texts might be extracted, regardless of context, to serve as weapons in the polemic disputes of metaphysicians. The inconvenient texts were ignored or explained away by distortion of their sense or by depreciation of their value. Those that neither helped nor hindered the polemical purpose of the exegete were briefly paraphrased or often left in a twilit obscurity. For the language of the Vedantic writers ceased to be understood; their figures, symbols of thought, shades of expression became antique and unintelligible. Hence passages which, when once fathomed, reveal a depth of knowledge and delicacy of subtle thought almost miraculous in its wealth and quality, strike the casual reader today as a mass of childish, obscure and ignorant fancies characteristic of an unformed and immature thinking. 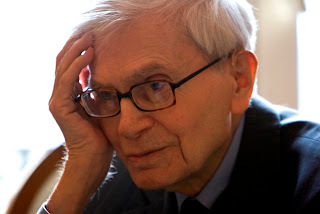 Rubbish and babblings of humanity's nonage an eminent Western scholar has termed them not knowing that it was not the text but his understanding of it that was rubbish and the babblings of ignorance. Worst of all, the spiritual and psychological experiences of the Vedic seekers were largely lost to India as the obscurations of the Iron Age grew upon her, as her knowledge contracted, her virtue dwindled and her old spiritual valiancy lost its daring and its nerve. Not altogether lost indeed for its sides of knowledge and practice still lived in cave and hermitage, its sides of feeling and emotion, narrowed by a more exclusive and self-abandoned fervour, remained, quickened even in the throbbing intensity of the Bhakti Marga and the violent inner joys of countless devotees. But even here it remained dim and obscure, shorn of its fullness, dimmed in its ancient and radiant purity. Yet we think, however it may be with the Vedas we have understood and possess the Upanishads! We have understood a few principal texts and even those imperfectly; but of the mass of the Upanishads we understand less than we do of the Egyptian hieroglyphics and of the knowledge these great writings hold enshrined we possess less than we do of the wisdom of the ancient Egyptians. Dabhram evapi twam vettha Brahmano rupam! I have said that the increasing intellectualisation of the Indian mind has been responsible for this great national loss. Our forefathers who discovered or received Vedic truth, did not arrive at it either by intellectual speculation or by logical reasoning. They attained it by actual and tangible experience in the spirit, — by spiritual and psychological observation, as we may say, and what they thus experienced, they understood by the instrumentality of the intuitive reason. But a time came when men felt an imperative need to give an account to themselves and to others of this supreme and immemorial Vedic truth in the terms of logic, in the language of intellectual ratiocination. For the maintenance of the intuitive reason as the ordinary instrument of knowledge demands as its basis an iron moral and intellectual discipline, a colossal disinterestedness of thinking, — otherwise the imagination and the wishes pollute the purity of its action, replace, dethrone it and wear flamboyantly its name and mask; Vedic knowledge begins to be lost and the practice of life and symbol based upon it are soon replaced by formalised action and unintelligent rite and ceremony. Without tapasya there can be no Veda. This was the course that the stream of thought followed among us, according to the sense of our Indian tradition." So the academicians without understanding the value of these texts and deep insightful knowledge that was hidden in them simply rejected it as childish wishful thinking and this attitude has continued till today and is still a rejected knowledge in western academy who show a serious contempt against a set of pagan beliefs which challenges the Greek rationality, the age of reason in the Renaissance period and the biblical religion which has been discussed by Wouter Hanegraaff in his book Esotericism and the Academy. 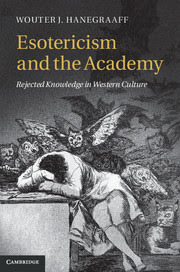 "Academics tend to look on 'esoteric', 'occult' or 'magical' beliefs with contempt, but are usually ignorant about the religious and philosophical traditions to which these terms refer, or their relevance to intellectual history. Wouter Hanegraaff tells the neglected story of how intellectuals since the Renaissance have tried to come to terms with a cluster of 'pagan' ideas from late antiquity that challenged the foundations of biblical religion and Greek rationality. Expelled from the academy on the basis of Protestant and Enlightenment polemics, these traditions have come to be perceived as the Other by which academics define their identity to the present day. Hanegraaff grounds his discussion in a meticulous study of primary and secondary sources, taking the reader on an exciting intellectual voyage from the fifteenth century to the present day and asking what implications the forgotten history of exclusion has for established textbook narratives of religion, philosophy and science." Most people are not aware how intellectual and counter-intuitive some of these pagan beliefs are but people have started to see that these beliefs are turning out to be true and many of these beliefs have withstood the test of times. "But this visible disc also, third in rank, is clearly, for the objects of sense-perception the cause of preservation, and this visible Helios is the cause for the visible gods of just as many blessings as we said mighty Helios bestows on the intellectual gods. And of this there are clear proofs for one who studies the unseen world in the light of things seen. For in the first place, is not light itself a sort of incorporeal and divine form of the transparent in a state of activity? And as for the transparent itself, whatever it is, since it is the underlying basis, so to speak, of all the elements, and is a form peculiarly belonging to them, it is not like the corporeal or compounded, nor does it admit qualities peculiar to corporeal substance. You will not therefore say that heat is a property of the transparent, or its opposite cold, nor will you assign to it hardness or softness or any other of the various, attributes connected with touch or taste or smell;  but a nature of this sort is obvious to sight alone, since it is brought into activity by light. And light is a form of this substance, so to speak, which is the substratum of and coextensive with the heavenly bodies. And of light, itself incorporeal, the culmination and flower, so to speak, is the sun's rays. Now the doctrine of the Phoenicians, who were wise and learned in sacred lore, declared that the rays of light everywhere diffused are the undefiled incarnation of pure mind. And in harmony with this is our theory, seeing that light itself is incorporeal, if one should regard its fountainhead, not as corporeal, but as the undefiled activity of mind pouring light into its own abode: and this is assigned to the middle of the whole firmament, whence it sheds its rays and fills the heavenly spheres with vigour of every kind and illumines all things with light divine and undefiled. Now the activities proceeding from it and exercised among the gods have been, in some measure at least, described by me a little earlier and will shortly be further spoken of." Which people have slowly started to recognize that these things are true. "Most intriguing of all is the idea of the function of the sun in stimulating thought and the higher faculties. Referring to the Phoenicians, Julian cites their teaching that "the rays of light everywhere diffused are the undefiled incarnation [imbodiment] of pure mind." Modern scientists are within an ace of confirming some of these more recondite facts for themselves. " It is these rays of light which is responsible for our thought process and thinking which is very much essential for mathematical understanding and it was this concept which Roger Penrose had argued in his three books Emperors New Mind, Shadows of the Mind and Road to Reality. 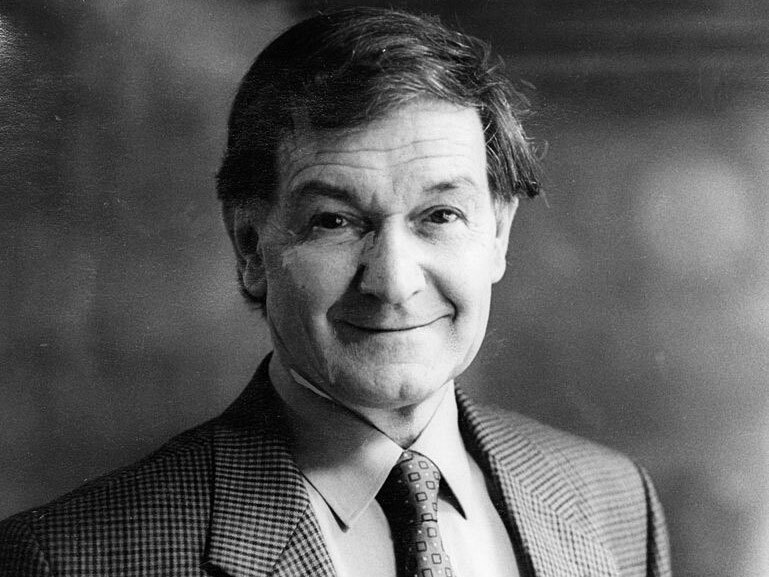 Roger Penrose: Consciousness Involves Non-computable ingredients. I only accept Penrose's mathematical arguments against strong AI (The Lucas-Penrose argument about Godel's theorem) but I don't accept his Orch-OR model or his approach of linking consciousness with quantum mechanics and with micro-tubules in the brain which is not the correct approach towards consciousness according to Indian Psychology. In Indian Psychology or in pagan mystery religions brain and mind are two different things. "The most important difference between the Indian and the Western approach seems to be about the existence of pure consciousness as postulated by the former. However, as far as “normal life” is concerned, ancient Indian psychology, especially as expressed in the systems of Nyāya and Vaiśeṣika have astonishingly parallel views with modern Western psychology (e.g., Raju, 1983; Sharma, 2003). But there are also some striking differences. For instance, in contemporary Western cognitive psychology, the relationship between brain and mind is seldom explicitly spelled out, but if one would press researchers to make a statement, most would probably resort to the view that cognitive processes co-vary with brain processes, and if pressed still harder, some might say that essentially brain processes produce cognitions and emotions (e.g., Damasio, 1999). The Indian view is just the opposite: the brain is used as an instrument by the mind (e.g., Raju, 1983). Do the senses connect to their “sense-objects”? In Indian psychology, at least in the systems of Nyāya and Vaiśeṣika, Sāṁkhya, and Mīmāṁsā, it is assumed that the senses go out to their objects and contact them or even “become” the objects (e.g., Raju, 1983). Therefore, sense-organs such as the eye or the nose that do not really touch their objects seem to be not the whole story according to the Indian view. So one might, for instance, hypothesize that even if the visual sense in the Western understanding does not work any longer, the remaining part of the visual sense in the Indian understanding might still be functioning and an (incomplete) perception might be the result. This hypothesis might open up some interesting links to phenomena such as “blindsight” (e.g., Cowey, 2004)"
Which is also turning out to be true as argued by Eugene Wigner. "Some scientists (like Wigner) believe that quantum mechanics makes certain dualist ideas about the mind/body problem acceptable again within mainstream science." Quantum physics has actually shattered the beliefs of working scientists as Bernard D'Espagnat and other quantum physicists explains. The scientist who leaves room for spirituality: Bernard D'Espagnat. "According to Marin, the opposition to mystical interpretations of Quantum Mechanics that Einstein and others had stemmed from their adherence to the philosophical school of realism. Yet in the 2007 Nature paper An experimental test of non-local realism, Anton Zeilinger and his colleagues wrote that, "Most working scientists hold fast to the concept of ‘realism’—a viewpoint according to which an external reality exists independent of observation. But quantum physics has shattered some of our cornerstone beliefs. According to Bell’s theorem, any theory that is based on the joint assumption of realism and locality (meaning that local events cannot be affected by actions in space-like separated regions) is at variance with certain quantum predictions. Experiments with entangled pairs of particles have amply confirmed these quantum predictions, thus rendering local realistic theories untenable. Maintaining realism as a fundamental concept would therefore necessitate the introduction of ‘spooky’ actions that defy locality. Here we show by both theory and experiment that a broad and rather reasonable class of such non-local realistic theories is incompatible with experimentally observable quantum correlations. In the experiment, we measure previously untested correlations between two entangled photons, and show that these correlations violate an inequality proposed by Leggett for non-local realistic theories. Our result suggests that giving up the concept of locality is not sufficient to be consistent with quantum experiments, unless certain intuitive features of realism are abandoned. "Professors Richard Conn Henry and Stephen R. Palmquist, commenting on that paper, stated: "Now we are beginning to see that quantum mechanics might actually exclude any possibility of mind-independent reality and already does exclude any reality that resembles our usual concept of such (Aspect: 'it implies renouncing the kind of realism I would have liked')." They concluded their commentary by adding that in their view, because of these findings, "a theistic view of our existence becomes the only rational alternative to solipsism." - Alain Aspect and Anton Zeilinger on Unreality. As you can see a great number of scientists, scholars, psychologists and philosophers are leading us to an esoteric worldview without themselves being aware of this. Religion isn't about how grand canyon was formed instead religion is more about understanding our relationship with the personal God and his relationship with the manifested cosmos.